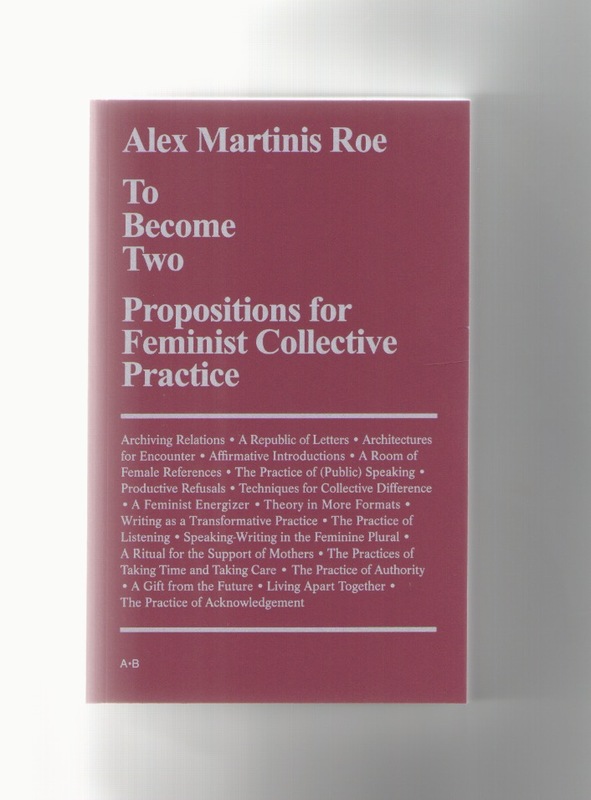 This book is an outcome of artist Alex Martinis Roe’s research into a genealogy of feminist political practices in Europe and Australia, from the 1970s until today. The first part of the book gathers essays by the artist, reflecting on experiences such as those of the Milan Women’s Bookstore; Psychanalyse et Politique, Paris; Gender Studies at Utrecht University; the feminist network in Sydney; and Duoda – Women’s Research Centre and Ca la Dona in Barcelona. The second part of the book consists in a practical handbook of twenty new propositions for feminist collective practice, conceived in collaboration with a network of contributors including Åsa Elzén, Alejandra Avilés, Cécile Bally, Deborah Ligorio, Elena Betros, evelyn Wan, Federica Bueti, Fotini Lazaridou-Hatzigoga, Helena Pérez, Helena Reckitt, Janneke Koers, Julia Gorostidi, Juliette Sanchez-Lambert, Lea von Wintzingerode, Lindsay Grace Weber, Lucia Farinati, Sara Paiola, Svenja Engels, Vasso Belia, Valerie Terwei, Veronica Valentini. To Become Two follows a project by Alex Martinis Roe, that was presented at Casco – Office for Art, Design and Theory, Utrecht; at ar/ge kunst, Bolzano; at The Showroom, London; at Badischer Kunstverein, Karlsruhe; and at Archive Kabinett, Berlin.